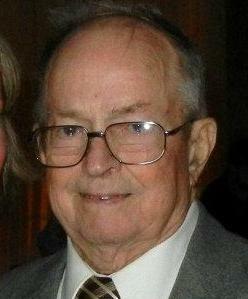 Eugene L. (Gene) Raeker, 89, died April 14 at Region’s Hospital with his family at his side. Mass of Christian Burial will be 10:30 am, Tuesday, April 23, 2019 at The Church of St. Rita, 8694 – 80th Street S., Cottage Grove. Visitation will be Monday, April 22, 2019, 5-8 pm, at Kok Funeral Home, 7676 – 80th Street S. Cottage Grove and one hour prior to the service at church. Burial will be at Ft. Snelling National Cemetery at 1:30 on Tuesday. In lieu of flowers. direct memorials to a conservation group of your choice, Disabled American Veteran’s or the Diabetes Foundation. He was preceded in death by his wife Glorine (Ostendorf) and grandson Billy. He is survived by children Marie Raeker-Davis (Tom), Deb, Pat (Judy), Brian, Barb Kodet (Tim), Steven (Colleen) and Peter (Shannon). He is also survived by sisters Alice Saunders and Phyllis Pelo. He has 10 grandchildren (Nicole, Paul, Chris, Jamie, Kyle, Kelly, Leah, Tyler, Zach and Nick) and 15 great-grandchildren (Lucille, Faith, Aubree, Caleb, Madison, Charlotte, Evelyn, Zayda, Axel, Jordan, Colton, Aria, Benjamin, Kendall, Kaden), with number 16 on the way. Gene was born Aug. 25, 1929, in Freeport, MN, to Ben and Helen (Rolfes) Raeker. He was preceded in death by his parents, his brothers (Art, Bernie, Curly, Ed, Paul) and his sisters (Marian, Vera) and two siblings - Norbert and Catherine - who died in infancy. A graduate of Melrose High School and a veteran of the Korean Conflict, Gene served in the U.S. Army. After service in California, he returned to Freeport to start his career and raise his family. He worked at Freeport State Bank for many years, then sold insurance for the Catholic Aid before opening his own insurance office in Little Falls. He was a steward of the land and put that into practice at his beloved “ranch” near Burtrum, MN. He enjoyed spending time with family and fishing. Gene was a genuine do-it-yourselfer — he made wine and maple syrup, gardened and raised chickens. He also found it difficult to pass up a good sale at Menards. There's still time to send flowers to the Visitation at the Kok Funeral Home - Cottage Grove from 5:00 PM to 8:00 PM on April 22, 2019.